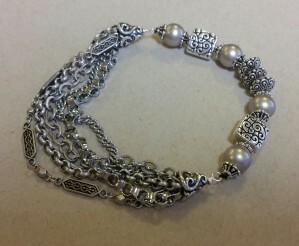 A fun, multi-strand bracelet, using crystal cup chain and ball chain! Bet you can’t make just one! 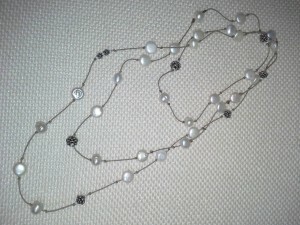 A cluster of chains and no clasp to deal with because the chains are connected to a stretchy string of metal and pearls! It’s casual! It’s dressy! It’s super fun! Moms, grab your favorite valentine and bring her in for some mother/daughter magic making! 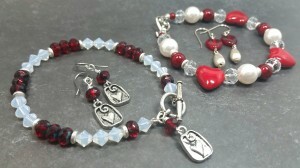 (Perfect for Aunts, Grandmas, Nieces, Grandaughters too…) Learn the basics for some sweet earrings and bracelets. $20 each. All supplies included. 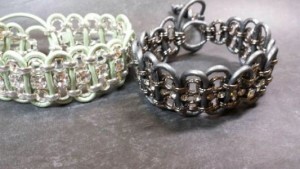 Jazz up the Chain Weave Bracelet with some bling! In this class we’ll show you our tips and tricks for designing with rhinestone chain. 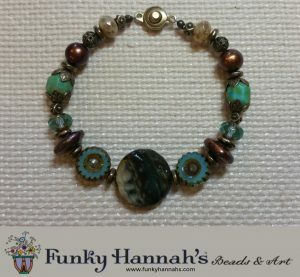 Take the mystery out of making multiple strand bracelets with the help of the gals at Funky’s! 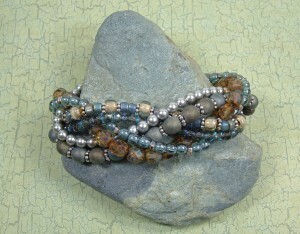 You’ll learn tricks for creating great color combos and create a woven bracelet with a professional finish. This class will fill quickly so call soon to reserve your spot. 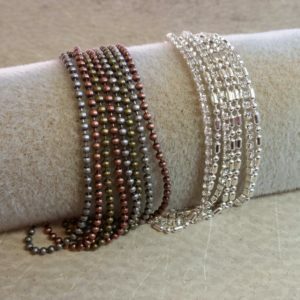 A now classic design by our friend Dean at Continental Beads, this chain weave bracelet gives you a great look, with many options for design variations. 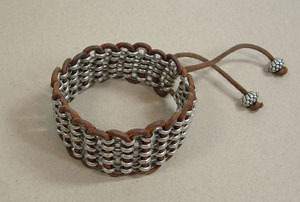 Everyone loves this bracelet! A rainbow of bright colors or neutral earthtones look equally stunning as you learn to knot and space beads so they float in place on silk cord. We’ll teach a seamless finishing technique for this super wearable necklace! 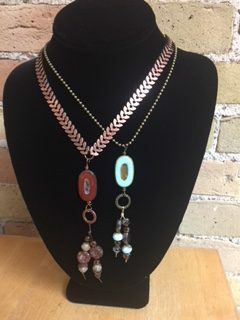 A great class to launch your beading adventures! You’ll learn the basics of stringing techniques . . . what to use when . . . and how to finish it off for a professional look. Lots of design tips and tricks of the trade are shared in this fun packed class. 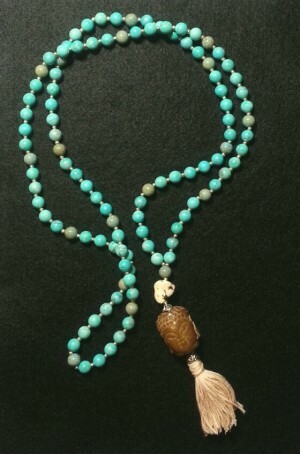 You’ll learn tons as you make your own necklace or bracelet with beads you pick from the shop.